Move your network, servers and workstations to the cloud and remove the headaches and costs of managing your computer hardware and local servers in house. Desktop-as-Service (DaaS), Work-Station-as-a-Service (WSaaS) and Infrastructure-as-a-Service (IaaS) is the next level in information technology. It is not only cost-effective, but less prone to breakdowns, easier to maintain, more secure and better for your business. With the workstations and server directly in a data center, you can expect download / upload speeds of around 500 mbps or more. At Mind Trust we use the fastest hardware available host our virtual desktop sessions. Latest generation processors combined with solid state hard drives results in the fastest virtual desktop experience available. Mind Trust Office backups your files every fifteen minutes. We take backups seriously to protect against hardware failures. We can even restore a file that you accidentally deleted or modified. Using Mind Trust, you leverage our enterprise-grade hosting infrastructure and all associated security measures. No more replacing desktop or server hardware at thousands of dollars per upgrade. Your new workstations and server in the cloud use state of the art, high end hardware and Solid State Hard Drives. Access your desktop in the cloud from any computer connected to the internet via web browser. This offers incredible control of your data for any off-site employees. First we migrate the data and user structure from your server or servers to our secure servers in the cloud. All data is backed up using triple redundant systems to ensure 0% data loss. Next, all workstations are recreated and migrated to our data center using Windows Server Virtual Machine. Next, all of your towers are replaced with either a Thin Client or All-in-one-Client hardware, depending on your needs. All keyboards, mice, monitors, printer and peripherals connect to the client hardware. Lastly, the client hardware connects to Mind Trust’s data center. The all-in-one-client simply connects to any internet connection and connects directly to your workstation in the cloud Plug in your monitor, keyboard, mouse and any other peripherals, connect to the internet and you immediately connect to your cloud based workstation. The generic hosting method for businesses was to buy, rent or lease servers and workstations that host their data and applications locally. Imagine all the same perks from a network of remote servers and workstations that are not physically cluttering the work space or costing you little to maintain and nothing to upgrade. Not to mention the costs related to linking and powering your server or servers. Imagine having all your information localized on a network that can be accessed physically. If one of them is compromised it can be exploited to gain access to information on all the constituents in the server. However, one of the key postulates of cloud computing is desktop virtualization. Desktop virtualization is a computing system where the same information hub is accessible by many client devices, regardless of geography. In layman’s terms the same information can be accessed and run on a virtual operating system, without having to store all the information on the client end. This can be immensely effective in cutting down hardware costs and in terms of information security. A client-end system cannot divulge any information, because it is merely projecting your valuable data from a remote server, and contains no data in itself! 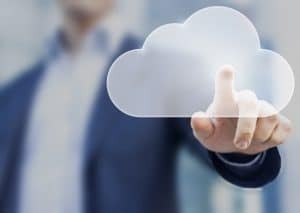 Your business can benefit largely from cloud computing and Desktop-as-a-Service, due to a number of reasons. Firstly, not only is your precious data safely ensconced in a non-physical environment which cannot be physically tampered by human intrusion, or damaged by any calamity. Secondly, the remote access and virtual access ensures that all your client-end devices that receive the information are synchronized. Thus, collaboration between several client-end machines can be conducted easily. This is especially helpful if your collaborators are strewn across different geographic locations; there is no headache in sharing and accessing data. Cloud computing is not just a suggestive business option, it is the next logical step in innovative computing.